WE would love to think that the Citroen C4 Cactus was named ironically. 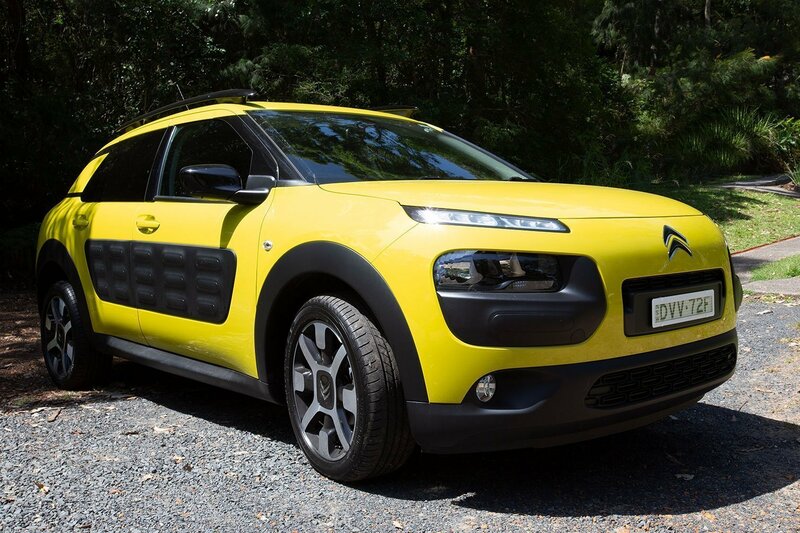 After all, to the average Australian “auto-motivated” eye it looks, well a bit of a cactus, n’est-ce pas? And when the test vehicle rolls out in ‘Hello Yellow’ you start to question your life choices. Ah, the French. With their “pah!”, their insolent shoulder shrug, their hard draw on a Gauloises. And their funny cars. Citroen have never cared about what we think we want. They have always made the cars they want us to have. They’re the epitome of French-ness. Innovation is their god of choice and they don’t ever follow the pack. 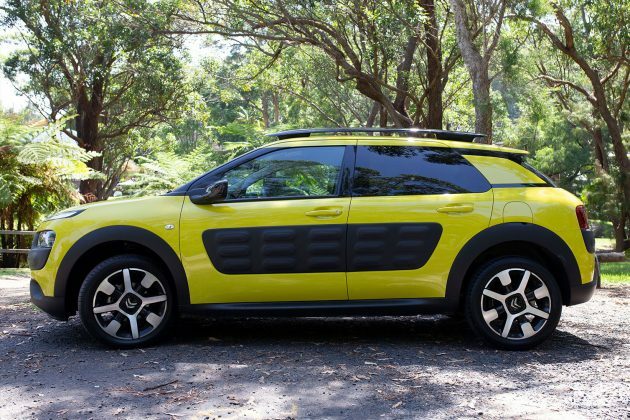 Citroen isn’t a car manufacturer that we have a lot of experience with in Australia and those on the road have always been oddities. So stepping behind the wheel of a bilious-coloured Cactus was a novel experience yet, minutes after starting the engine, it was a definite love connection. Ooo la la … they’re good. Everything about this vehicle comes together to create a really enjoyable drive. There are some things to get used to (including the Hello Yellow) but top of the list is the gearbox. Our test vehicle featured the relatively new, and very welcome, EAT6 (efficient automatic transmission) 6-speed auto gearbox, but a 5-speed manual is also available. Gear changes can feel a bit clunky in low range and it seems to hang onto first for a little long. There is a manual mode for those who want it but we found that within a day or two we were using the accelerator to control the gear shifts a little more. It made driving the Cactus a lot of fun. Perhaps for a more sedate driver the lower gears are perfect but we found a little punch on the accelerator would gear it up to where we wanted it and it became a nice interactive drive, striving to get those clean changes. The gearbox sits nicely with the 1.2-litre turbocharged three-cylinder petrol engine. Delivering 81kW of power and 205Nm of torque it’s only a little’un but the power to weight ratio of the Cactus is pretty impressive. It weighs in at a twinky 1125kg, around 200kg lighter than competitors. This makes it as zippy as all get out. It’s incredibly maneuverable and great for a quick overtake, corners beautifully and parks easily. You also get Sport and Snow settings on the auto. All of this makes it a perfect urban commuter but surprisingly, it was a cracking drive on the motorway too. Once it settles into higher gear it very comfortably thumps along with pretty impressive speed. Its zippiness is evident here too and there’s always a bit more in the tank for a hill climb or an overtake, sticking to the road well with no small-car-skittishness. Engine and road noise is fairly minimal, with Citroen chucking extra sound insulation at the current model. The suspension does a lovely job too, creating a very comfortable ride (clunky changes and slightly grabby brakes aside). Being super light the Cactus is also pretty friendly at the bowser. The 50-litre tank lasted us a good solid weeks’ driving, with our fuel usage sitting at 7.2-litres/100km. Citroen claim an urban usage of 6.5-litres and a combined economy of 5.1. 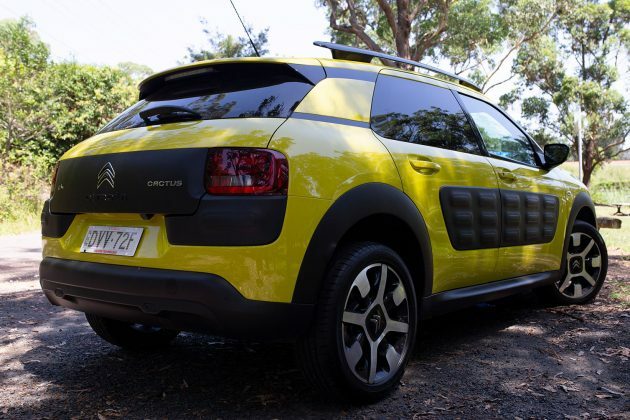 The Cactus is certainly one of the most unique vehicles currently on the market. With its low, wide shape, squinty face and distinctive ‘Airbump’ side panels, it’s one of only a handful that stand out in a market that is slowly melding into one look. We admit we did experience hesitation over the look of the Cactus. It seemed something of a commitment, but it was the interior (and the super drive) that converted us. The inner sanctum of this little French voiture is very distinct and very stylish. It’s also quite pared back, and that’s perhaps not going to work for the car owner who likes lots of ‘stuff’ for their auto dollar. This is partly down to Citroen saving every bit of excess weight possible, but the cabin is also very thoughtfully put together. The front feels lovely and spacious and, while not featuring luxury appointments, Citroen has managed to make a cheaper spec’d interior that really stands out. Our test car came with the standard Grey ‘Mica’ cloth and Stone Grey Ambiance trim. This standard combo of plastic and fabric is lifted significantly by the addition of stylish touches like the door handles and detailing, which are reminiscent of vintage luggage straps. This look carries across to the glove box which is like a delightful, dash-mounted portmanteau. 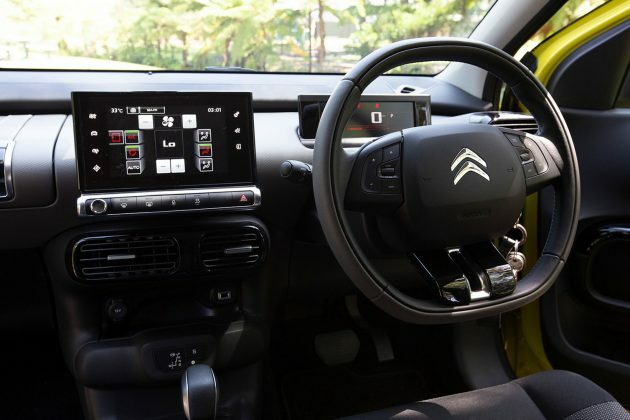 Citroen refers to it as a ‘top box’ rather than a glove box given its positioning, made possible by doing away with the front mounted passenger airbag. Panic not though, as they’ve included instead a roof mounted one. This change gives the top box great access and a good amount of storage room. Speaking of storage brings us to one of the Cactus’ sore points. Cup holders, or rather holder. Yes, there is only one and it’s small. You’re obviously meant to have your café au lait in the café, not the car. Une noisette is possibly permissible in transit, but nothing larger. The doors feature more storage with bottle holders in the rear, plus there’s a hidey hole for your phone and storage in the front armrest. A 7.0-inch touchscreen sits high in the middle of the dash next to the digital instrument cluster. A nice touch in the Cactus is the simple, rectangular driver’s display, positioned above the steering wheel, which displays a large speedo and gear selection. Seeing the gears displayed gives more connection with the drive and means there’s no dials whatsoever. It’s a bold and different look but we liked it. You pretty much control everything from the touchscreen, with some minimal controls on the leather, flat-bottomed steering wheel. It features fairly intuitive controls but can get messy if you’re pressing buttons on the fly. Tech features are pretty light on and there’s no Apple CarPlay or Android Auto. But the SatNav is very good, the automatic air-conditioning is fabulous and the reverse camera quality is a definite highlight. The front seats are wide and super comfortable with a good, electrically adjustable driving position and great visibility. In the back it seems less roomy, but this car only measures 4 metres long so it’s not doing too badly. Plus the sofa-style rear seat looks great. The rear cabin windows are pop-outs (another sacrifice to weight) but we quite liked these. They’re novel nowadays, and with air-con there’s not that many kids winding their window down anyway. Plus it stops them throwing Crayolas onto the tarmac, right? The boot is fairly generous considering this is a small SUV, with 358 litres of space. And the rear seats fold 60:40 to give you a handy 1,170 litres when you need it. Stylishly solid roof bars come standard, with a weight limit of 80kg. Safety is covered with ABS, electronic stability control, hill start assist and airbags for the front with side curtain airbags going through to the rear. But there’s no collision warnings or blind spot monitors, which seems an oversight. A big winner for the Cactus is its endless customisation with Citroen claiming over 21,000 possible combinations. There are nine paint colours with flat, metallic and pearlescent finishes and four colour options for your Airbump armour (black is standard). Inside, there are a range of cloth, velour and leather finishes and three trim colour options. 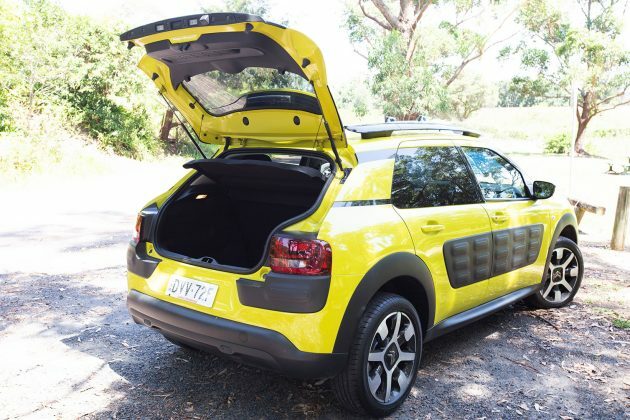 Throw in a choice of wheel designs, coloured mirrors and extras like a thermally insulated, panoramic sunroof, roof box and bumper protectors and you can certainly personalise your Cactus. So, would we choose Hello Yellow of our own accord? Probably not. We would definitely consider it but ultimately lack the courage. But in a world of tarmac-blending vehicles it really does seem a smarter choice than yet another ‘gun metal’. The same goes for the Airbumps. At first they seem a little ludicrous but your first visit to the Aldi car park will set off a little light bulb in your brain and you’ll be praising these French engineers as geniuses. All other cars will look naked and vulnerable. Basically, for a car that we thought was going to be all about its outlandish looks, it proved to be an incredibly practical car on all fronts. It drives well, it’s economical and it’s comfortable. Citroen has indeed delivered the car we didn’t know we wanted. It was a joy. It’s up against tough rivals in the small SUV space, including the ever-popular Mazda CX-3 starting at $23,990. There are a few funkier entries now such as the Nissan Juke, starting at $33,990 for auto and the Toyota C-HR starting at $30,499. At $32,270 we think the Cactus is just holding its own. There’s a couple of features we’d add but it comes with a raft of standard features including electric heated door mirrors, auto lights and wipers, LED daytime lights, cornering fog lights and that large boot. In the more standard colours, the Cactus stands stylishly next to its competition and it’s a definite front-runner in the practicality stakes. It will really come down to whether you love it or hate it. And whether you can go without your on-the-go grande caffe latte. For our money it’s a winner and we’ll be a little heartbroken if/when Citroen set about toning it down. The increase in Cactus numbers on the road must surely indicate that, with an auto petrol model available, Australia is ready to embrace this prickly little beast. 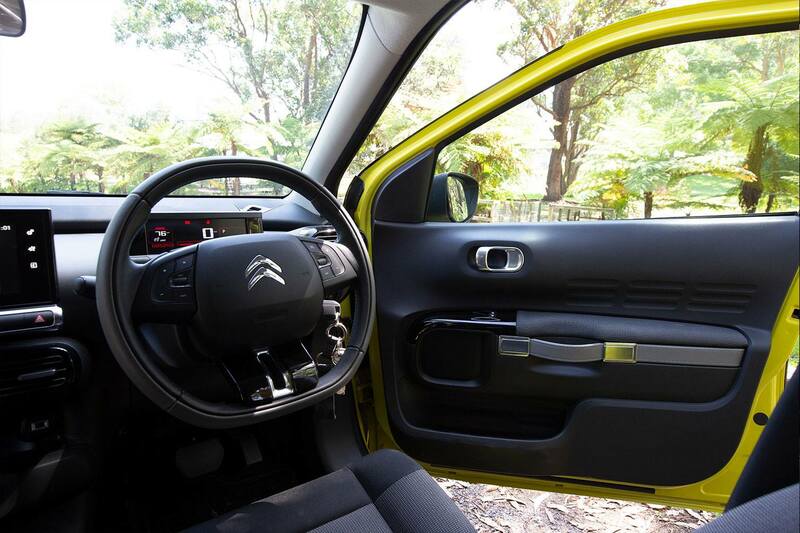 Our test vehicle was supplied by Citroen Australia. 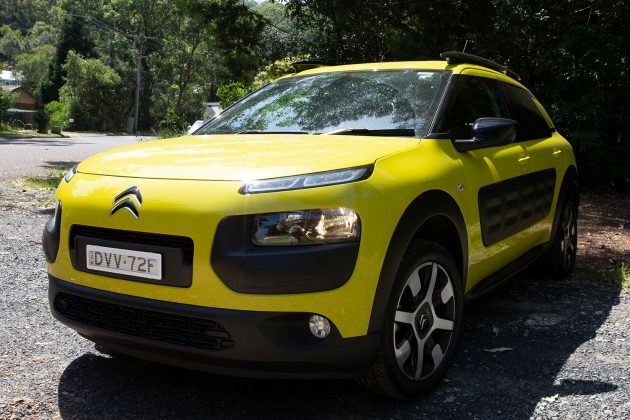 To find out more about the 2019 Citroen C4 Cactus, contact your local Citroen dealer. Images courtesy of Tim Brand. Pros – enjoyable drive; ballsy styling; economy; comfort; practicality; good range of standard features. Cons – priced a little high; lack of cup holders; no Apple CarPlay or Android Auto; “quirky”.